All KEY LARGO homes currently listed for sale in Converse as of 04/25/2019 are shown below. You can change the search criteria at any time by pressing the 'Change Search' button below. "Quality and super elegance. Enjoy 10' ceilings, lots of tile in entry, living room, kitchen, dining area, bathrooms, laundry room, , upgraded light fixtures, cathedral ceilings in living room area, gorgeous vaulted ceiling in kitchen, recessed lights, black on black upgraded appliances, smooth surface stove, ceiling fans, covered patio, all brick and stone on first floor, and cement fiber on second floor, tile backsplash, solid kitchen counter tops, wood rails, 2 years old roof. At full price a"
"Welcome home to this well-kept fully upgraded model home in Key Largo! 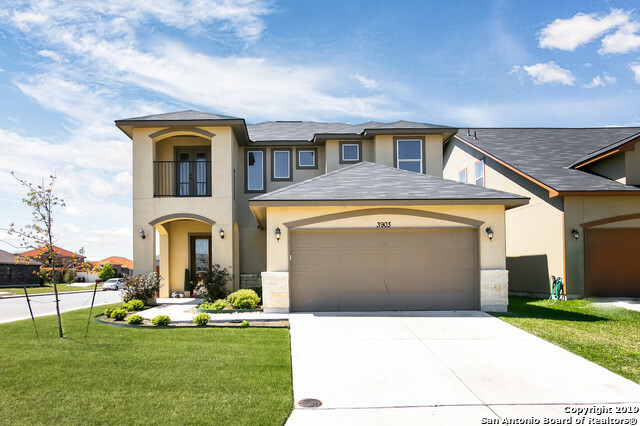 Stand apart in this custom built home and enjoy your weekends sitting back in the extended covered patio, or cooking in the marvelous kitchen. 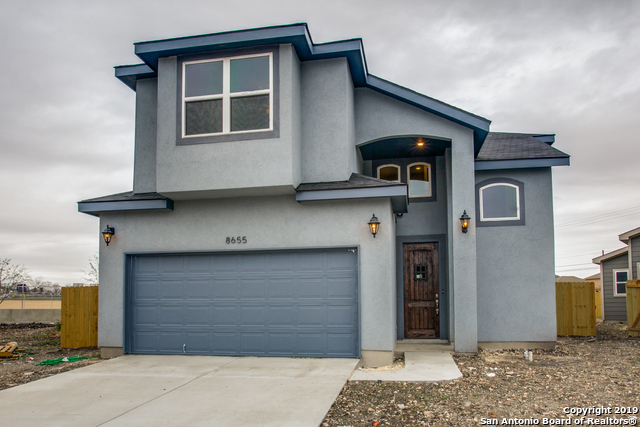 This home comes equipped with stainless steel appliances, custom cabinetry, vaulted ceilings, wrought-iron stair spindles, oversized secondary bedrooms, a sprinkler system, a private front balcony...And did I mention a corner premium lot? What more could you ask for?" 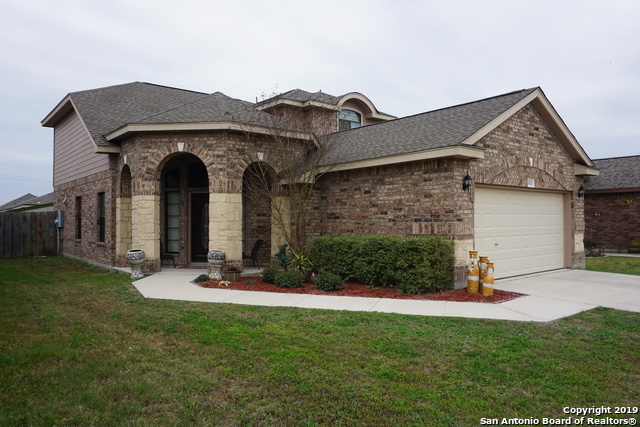 "TWO STORY NEW CONSTRUCTION HOME IN CONVERSE. GRANITE COUNTER TOPS IN KITCHEN , GE APPLIANCES, 100% WOOD CABINETS, PENDANT LIGHTS, NICHES, BRUSHED NICKEL HARDWARE & FIXTURES, CEILING TREATMENTS THROUGHOUT, CROWN MOLDING, CERAMIC TILE, MASTER BEDROOM, CEILING TREATMENT, BED NICHE, CUSTOM TILED SHOWER & TUB SURROUND, CULTURED MARBLE VANITIES, 8 FOOT DOORS FIRST FLOOR, RADIANT BARRIER DECKING, LOW E DOUBLE PANE WINDOWS, 10FT CEILING PLATE, FINISHED GARAGE, LANDSCAPING FRONT YARD, COVERED PATIO. ISLA"
"AMAZING ONE STORY IN KEY LARGO! BEAUTIFUL FINISH OUT WITH ALL THE UPGRADES. BEAUTIFUL FOYER LEADS TO OPEN LIVING, KITCHEN, DINING COMBO. OPEN FLOOR PLAN PERFECT FOR A GROWING FAMILY AND ENTERTAINING. GRANITE COUNTERTOPS WITH BREAKFAST BAR. STAINLESS APPLIANCES. AMAZING MASTER SUITE WITH LARGE WALK IN SHOWER, GARDEN TUB, CLOSET WITH SEASONAL RACKS TO MORE STORAGE! TILE THROUGH OUT. ADDITIONAL ROOM/STUDY FOR EXTRA SPACE. HIGH CEILINGS AND LARGE COVERED BACK PATIO." 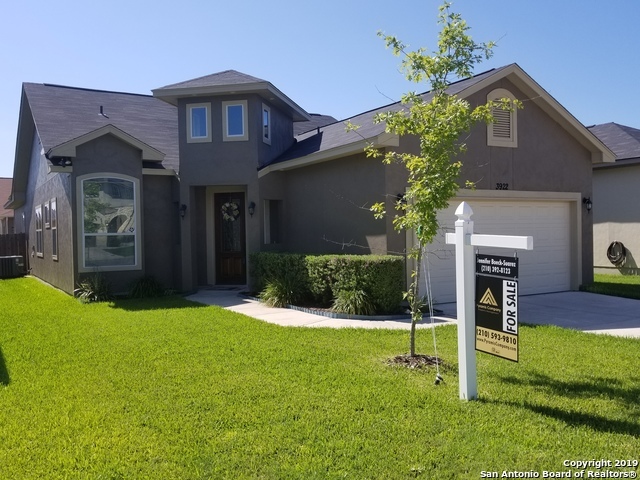 "** Excellent Location** Welcome HOME to your Key Largo beauty custom built by the owner with the help of the fine artisans at New Leaf Homes! No detail was left untouched and when your family walks in they are sure to fall in love with the high ceilings, open kitchen, dining and living room combo. Enjoy your summer in your private backyard and outdoor kitchen style patio just in time for the upcoming holidays. Custom built with YOU in mind, this 2015 home will feel like 2019 with your own perso"